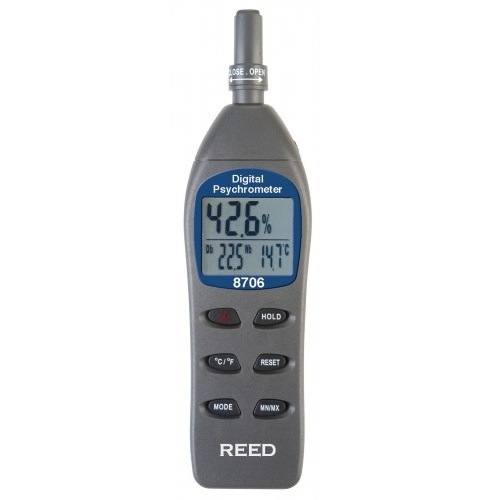 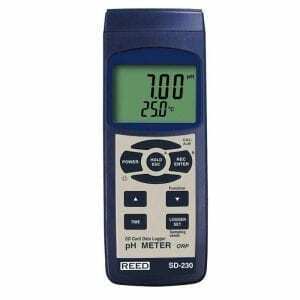 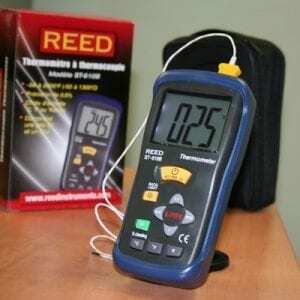 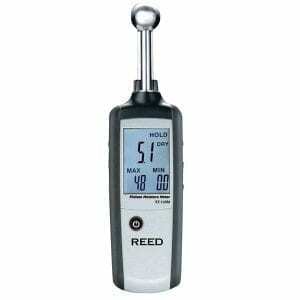 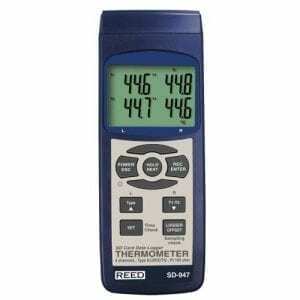 The Reed 8706 Digital Psychrometer provides simultaneous relative humidity and air temperature readings, as well as automatically calculating wet bulb and dew point temperatures in seconds without needing to consult charts. 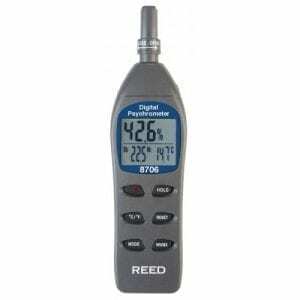 The Reed 8706 Digital Psychrometer offers several features, such as; the sensor is protected by tunable cap, it’s pocket-sized, battery operated. 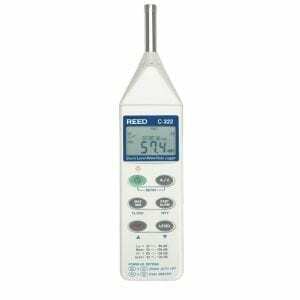 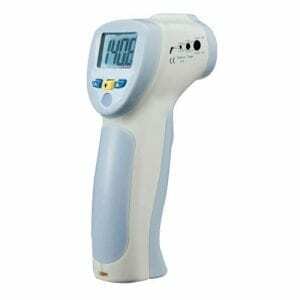 It quickly and easily measures humidity, dry bulb, dew point, wet bulb, external temperature as well as temperature differential measurements. 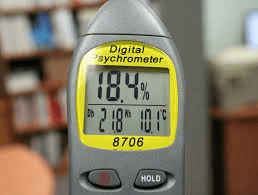 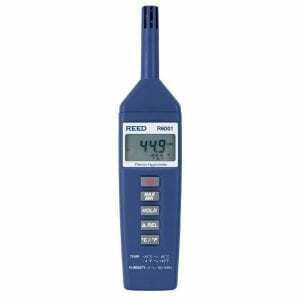 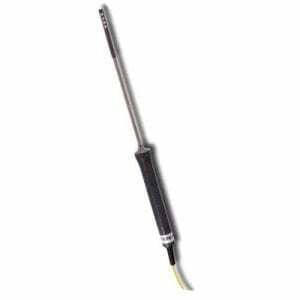 The psychrometer is a micro-processor design. 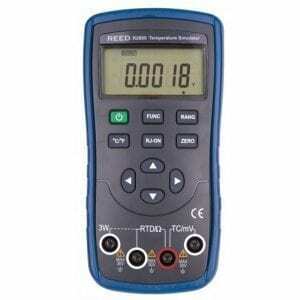 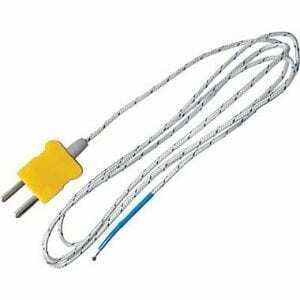 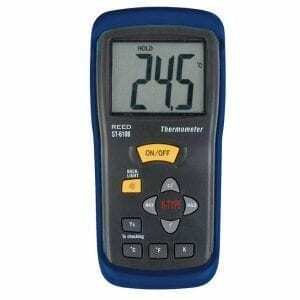 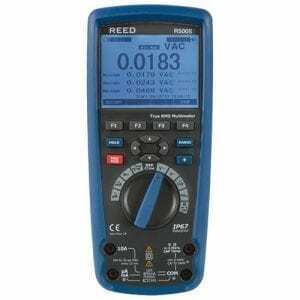 A must device for HVAC engineers use. 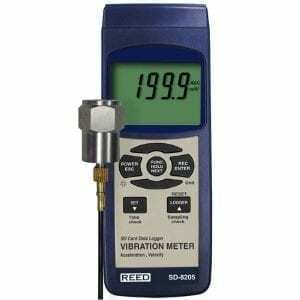 No need to whirl the meter or refer to the chart.